approx. 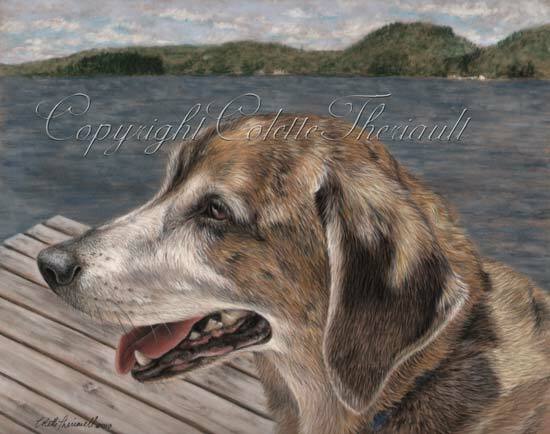 size: 14" x 11"
Snicker loved to sit on the dock by the lake, relaxing and enjoying the dog days of summer. He was not a swimmer, instead, he rather preferred basking in the sun sitting beside his owner. This custom pet portrait was commissioned by a client in Virginia , USA.